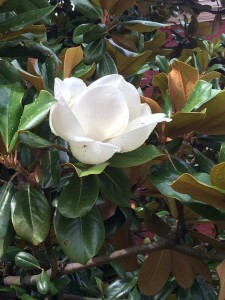 It’s late June and the magnolias are in full bloom and they smell delightful!! I’m fortunate to have a large magnolia tree at the back entrance to the office here in downtown Lexington, VA! I can also see an even bigger tree across the street in courthouse square, which is also full of blooms! It’s summertime!! So much going on this weekend – there’s the Music in the Garden series at Boxerwood Gardens, a Free Kids Movie Night at Natural Bridge, Rock’n for Austin Concert & Car Show in Buena Vista, the Hoofbeats 5K Run at the VA Horse Center, the Brownsburg Ruritan Horse Show…WOW…nothing about a lazy summer here! Unless of course you just want to take your innertube and float the Maury River…and of course there is nothing wrong with that! Go ahead and contact us today to make a plan to come visit our lovely area of Virginia, and take in some of these activities! After that we would be happy to show you some lovely houses here in Lexington, Buena Vista, Natural Bridge, Brownsburg area or really anywhere in Rockbridge County, VA. If you come soon, the magnolias will still be in bloom! Hope your week is filled with wonderful sights, smells, and sounds!